WASHINGTON: Democratic lawmaker Ilhan Omar apologized on Monday after party leaders condemned her comments about the pro-Israel lobby in the United States as using anti-Semitic stereotypes. “Anti-Semitism is real and I am grateful for Jewish allies and colleagues who are educating me on the painful history of anti-Semitic tropes,” Omar, who was elected for the first time to the US House of Representatives in November, said in a statement. 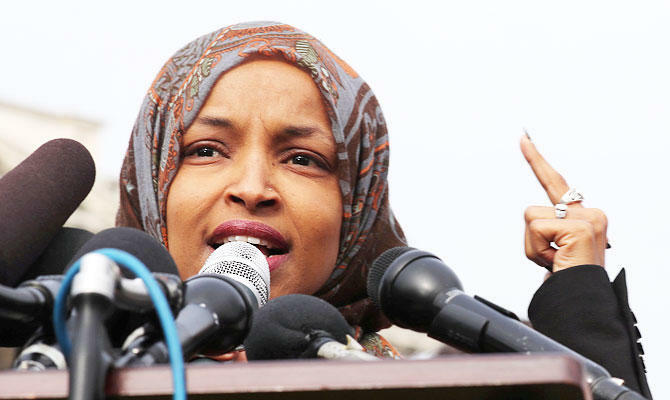 Omar was criticized by both Republicans and Democrats for saying on Twitter that the American Israel Public Affairs Committee, a pro-Israel lobbying group, was paying US politicians to support Israel. President Donald Trump later criticized Omar’s remarks and said her apology fell short. “I think she should be ashamed of herself. I think it was a terrible statement. And I don’t think her apology was adequate,” Trump told reporters en route to El Paso for a speech to press his case for a wall along the US-Mexico border.